Washington DC, February 22 – A study published today in Science illuminates the extent of global fishing – down to individual vessel movements and hourly activity – and opens an unprecedented gateway for improved ocean management. The study shows that, while the footprint of capture fishing extends across more than half the global ocean, activity is clearly bounded by different management regimes, indicating the role well-enforced policy can play in curbing over-exploitation. Using satellite feeds, machine learning techniques and common ship tracking technology, a team of researchers from Global Fishing Watch, the National Geographic Society’s Pristine Seas project, University of California Santa Barbara, Dalhousie University, SkyTruth, Google, and Stanford University found that industrial fishing covers more than 55 percent of the ocean’s surface – over four times the area covered by agriculture. The new dataset of fishing is hundreds of times higher in resolution than previous global surveys and captures the activity of more than 70,000 vessels, including more than 75 percent of industrial fishing vessels larger than 36 meters. The authors of the study are making their dataset freely available to the public, allowing anyone to download, visualize and analyze the global footprint of fishing. 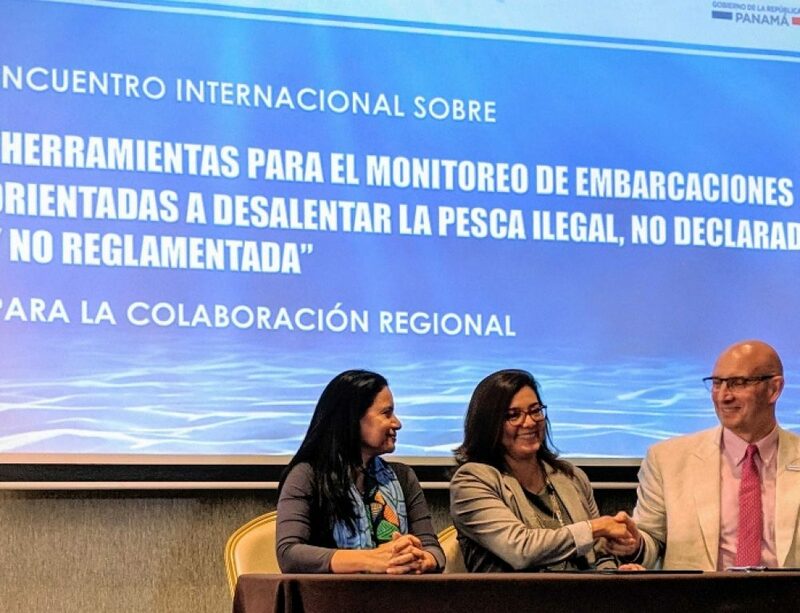 “By publishing the data and analysis, we aim to increase transparency in the commercial fishing industry and improve opportunities for sustainable management,” said lead author, David Kroodsma, the Director of Research and Development at Global Fishing Watch. The dataset provides greater detail than previously possible about fishing activity on the high seas (beyond national jurisdictions). While most nations appear to fish predominantly within their own exclusive economic zones (EEZs), China, Spain, Taiwan, Japan and South Korea account for 85 percent of observed fishing on the high seas. The total area of the ocean fished is likely higher than the 55 percent estimated, as the data do not include some fishing effort in regions of poor satellite coverage or in EEZs with a low percentage of vessels using AIS. Over 40 million hours of fishing were observed in 2016 and fishing vessels traveled more than 460 million kilometers, a distance to the moon and back 600 times. Kroodsma and his team used machine learning technology to analyze 22 billion messages publicly broadcast from vessels’ automatic identification system (AIS) positions from 2012 through 2016. Based solely on vessel movement patterns, the Global Fishing Watch algorithm was able to identify more than 70,000 commercial fishing vessels, the sizes of and engine powers of these vessels, what type of fishing they engaged in, and where and when they fished down to the hour and kilometer. 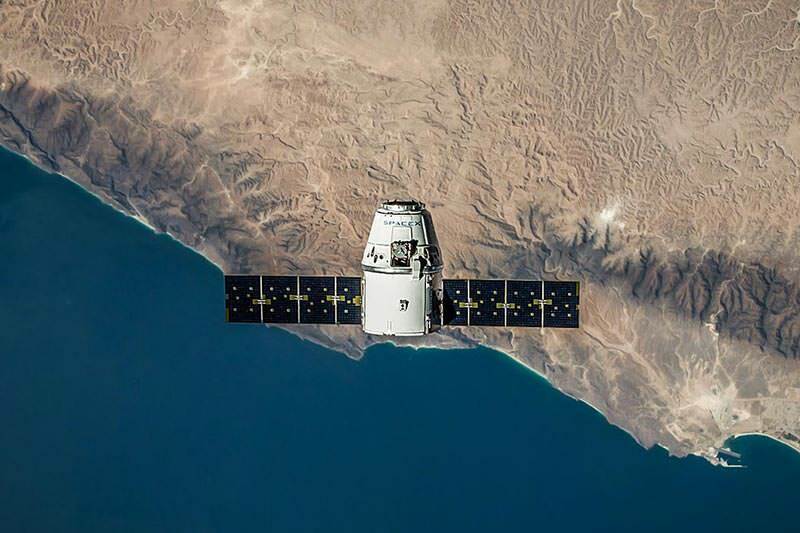 This new global view of fishing draws on advances in satellite technology and big data processing. “Only a few years ago, we didn’t have the computing power, enough satellites in orbit, or techniques to run machine learning at scale over massive datasets. Today we have all three, leading to dramatic advances in our ability to monitor and understand human interaction with our natural environment,” said Brian Sullivan, a co-author who works for Google Earth Outreach. The study, “Tracking the global footprint of fisheries,” appears in Vol. 361 Issue 6378 of Science. The datasets, including gridded fishing activity data, vessel identity and classification lists, and encounters between refrigerated cargo vessels (reefers) and fishing vessels, spanning from 2012 to three days from the present, are available for download for non-commercial uses via Global Fishing Watch’s Research Accelerator Program. Learn more. For media requests, images and data visualisations please visit our media center or contact Samantha Emmert (samantha@globalfishingwatch.org, 1.917.543.1593). For interview requests, please contact: David Kroodsma (david@globalfishingwatch.org,1.415.656.7540), Juan Mayorga (Spanish, juanmayorga@ucsb.edu,1.816.877.2410), Kristina Boerder (German, kristina.boerder@dal.ca,1.902.329.3003), Barbara Block (bblock@stanford.edu,1.831.655.6236), Brian Sullivan (bsullivan@google.com, 1.415.997.8559), John Amos (john@skytruth.org,1.304.260.8886) or Christopher Costello (costello@bren.ucsb.edu, 1.805.893-5802). For comments by experts not involved in this study, please contact: Daniel Pauly (d.pauly@oceans.ubc.ca), Doug McCauley (dmccauley@ucsb.edu), or Callum Roberts (callum.roberts@york.ac.uk). Global Fishing Watch is supported by Adessium Foundation, Bloomberg Philanthropies, Leonardo DiCaprio Foundation, Marisla Foundation, The Waterloo Foundation, and The Wyss Foundation.